In an effort to help create a totally different type of fitting boot, Puma has taken lacing to a completely new level. 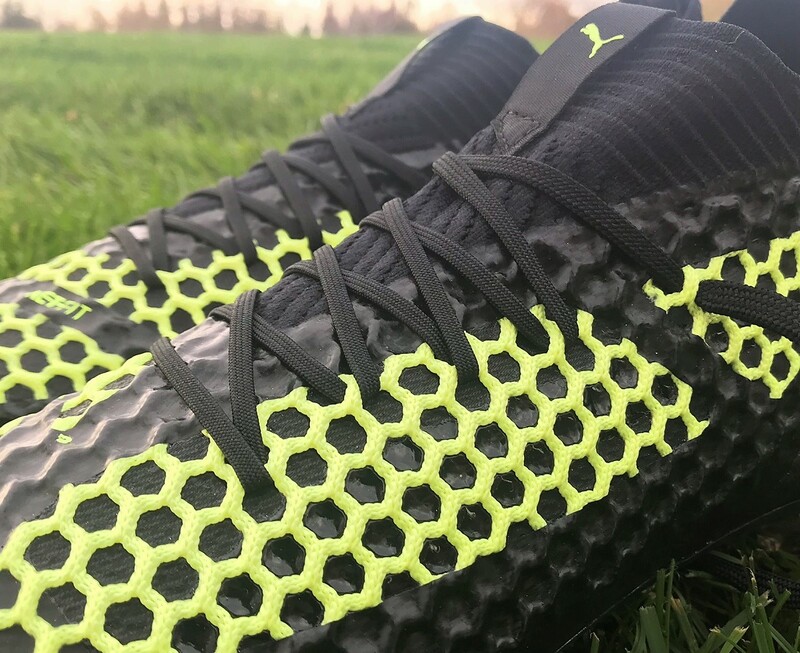 The Puma FUTURE 18.1 NetFit focuses on a lace system that allows players to truly define the fit of the boot around their foot. But it is also important to note that these are far more complex than just the customizable lacing that has been a key marketing feature. We’ve been testing the introductory Black/Yellow colorway that was released in limited numbers over the past few weeks. Here is what you need to know about how they perform. A few months back, I got my first introduction to NetFit via some Puma sneakers that arrived in. 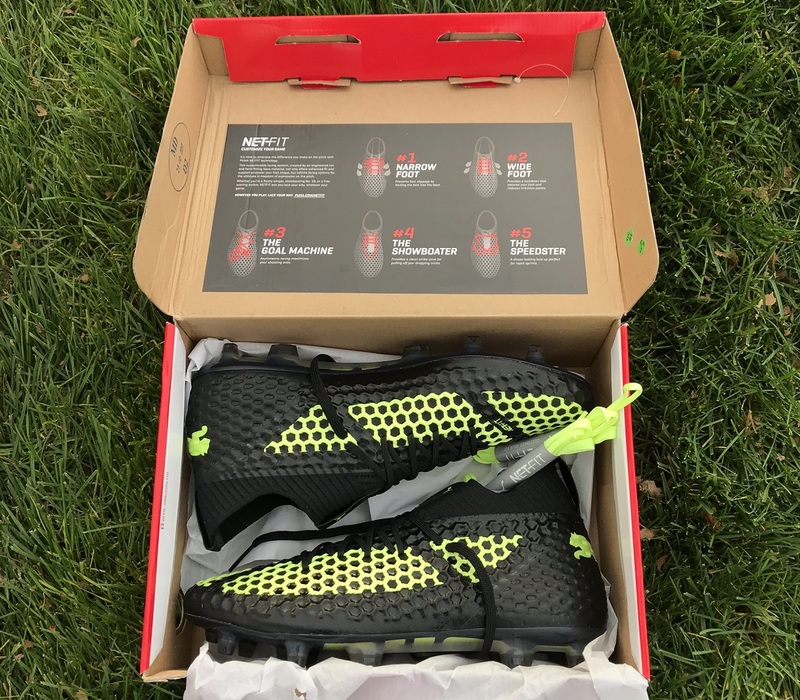 Transitioning the technology from running shoe to soccer shoe seems decently challenging, especially when you factor in potential durability issues. But, what Puma has produced looks pretty intriguing and should offer a valuable alternative to players that want a collar style boot. 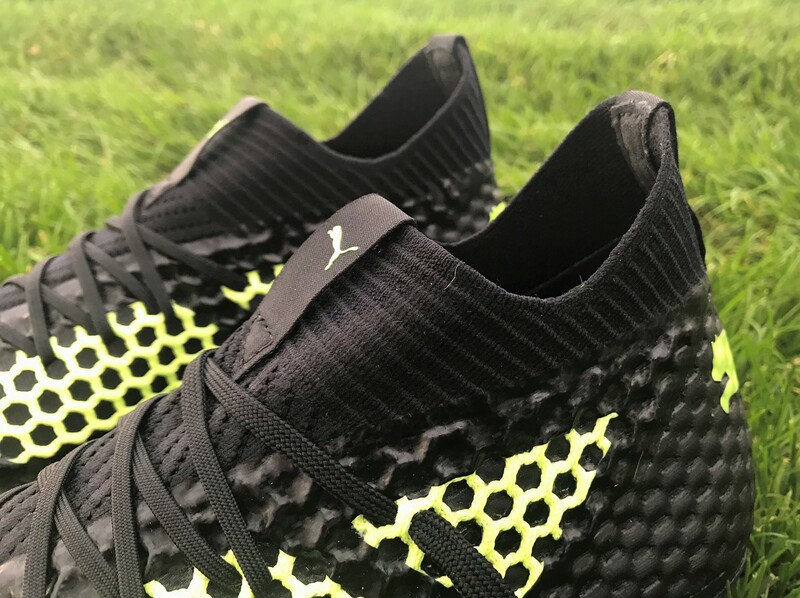 When you factor in the ability to lace up your own way, these have the potential to be one of the most accommodating boots released to market in a while, suiting both wider and narrow fitting players comfortably. The major marketing piece on the FUTURE is the visually significant NETFIT system. This is the yellow net that runs around the upper. Basically, there are areas where the net is separated from the upper and you can use these areas to run your laces through, creating a wildly different type of fit as you pull the laces and tighten them. Depending on how crazy you want to get, you can create dramatically unique fits with the ability to specifically enhance tension in a particular area. First note here; there are not as many spots available as you might imagine to run the lacing through. In other words, some of the lacing is permanently attached to the upper, so you can’t run your laces through certain areas. So, I did spend some time testing out different lacing styles. When you open the box, there are actually some suggested designs to try out, all of which serve their own purpose. As much fun as it was to try different designs, I ended up returning to the original standard lacing style as it served my fit best. In saying that, there is tremendous value to being able to utilize a custom lacing style, and I could definitely feel the difference as I laced up in different ways. As awesome as NetFit actually is, don’t be fooled into thinking that this is all the boots have to offer. They are actually far more complex. To further enhance the overall fit and feel of the boots, NetFit has been fused to an evoKNIT sock around the ankle. The cut is much more dynamic and aggressive than past models, and it really does create a tight connection around your foot. There is enough stretch to ensure it is comfortable and doesn’t cut circulation, but it definitely sits more securely than other elite collared boots. In the time I’ve been wearing them, it hasn’t overstretched so I’ve no reservations about it loosening up over time. What about touch and control on the ball? Puma actually double up the use of NetFit through the strikezone and allow it to play a roll in how it feels to strike the ball. It is incredible to think a knit material could create added definition that plays a role in actual feel, but it does. 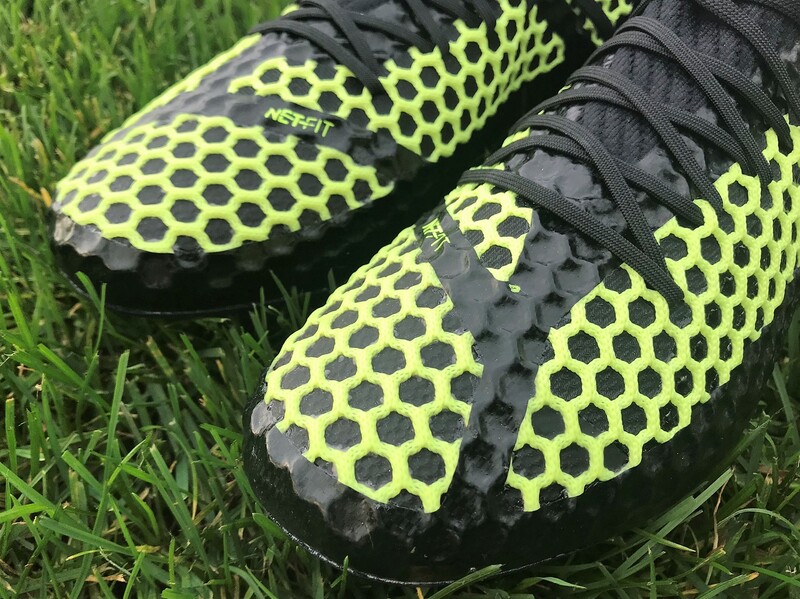 Because it is raised a few millimeters off the surface of the boot, NetFit provides increased surface area that allow you to really strike the ball solidly. In other words, it reduces the amount of pressure you feel like striking shots ensuring you can really put your foot through the ball. Then there is the added bonus of being able to add a little extra spin on shots. 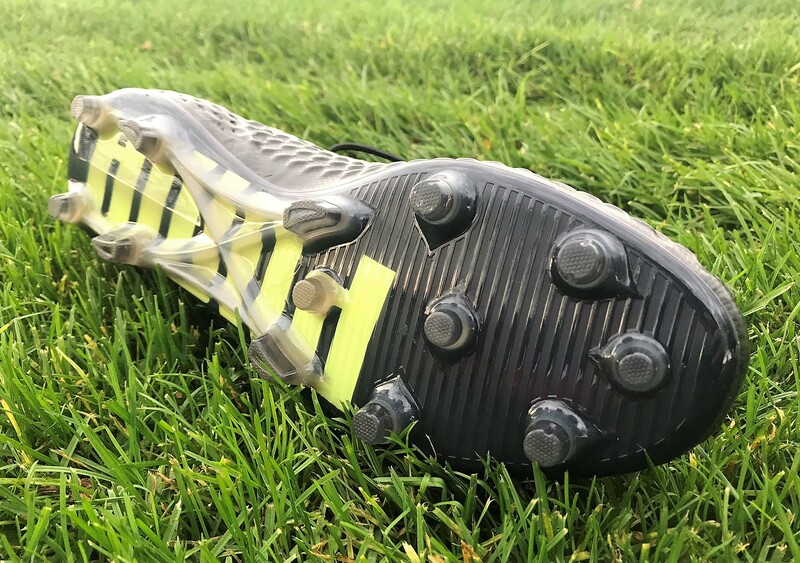 Similar to a Predator style boot, the added angles allow you to control your shot and wrap your foot around the ball as you look for placement. Overall, I see them as an excellent option for attacking players that need something a little more dynamic in play. With all this though, there is obviously one note of concern. Because of its construction, there is a slightly more rigid feel about these compared to other knit style boots. You don’t get a natural flex through the forefoot, with the upper being a lot more compact. This has the positive of providing durability over time, but it also reduces natural feel on the ball. Underfoot, the FUTURE introduces the brand new RAPIDAGILITY outsole, made of super lightweight and reactive PEBAX. The actual configuration contains a mix of conical and bladed studs that are designed to bring the best results in traction and stability. 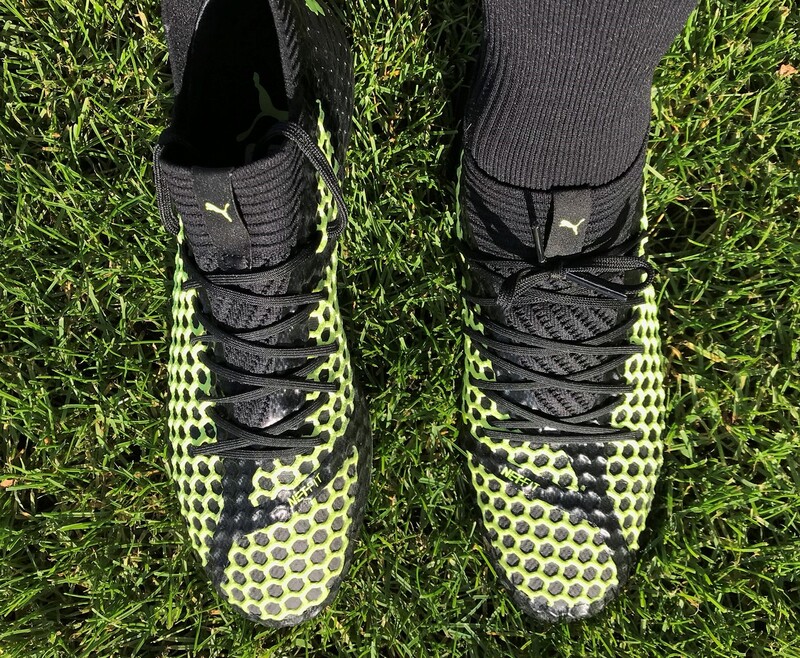 Unlike other recent Puma releases, the soleplate here only bends in one direction, so you get the bonus of some added spring back as you release from the surface. Through testing, I wore these on both FG and AG surfaces with positive results on both. The conical profile of the studs allows for solid traction and natural swivel/release from the surface without too many issues. I recommend them as a quality option if you need a single boot to use on both surfaces. The key marketing feature of this release is the actual fit of the boots, so the answer here should be very well! And yes, that is the answer. Once you slip your foot in, the upper material stretches to give you a very natural feel all the way around. I’d rate them as one of the most effective fitting boots you will find, from narrow fits to wider fits. How can that be? Well, the soleplate is built to accommodate a wider fit and the upper has some stretch to allow you to get your foot in. Then, you can define how snug they actually become thanks to NetFit. In terms of length, they are very much true to size. My only note here relates to the feel of the upper. With a knit material, you expect the upper to be very pliable, but here it is a little more rigid. It still offers natural movement through wear, but not like you might expect. 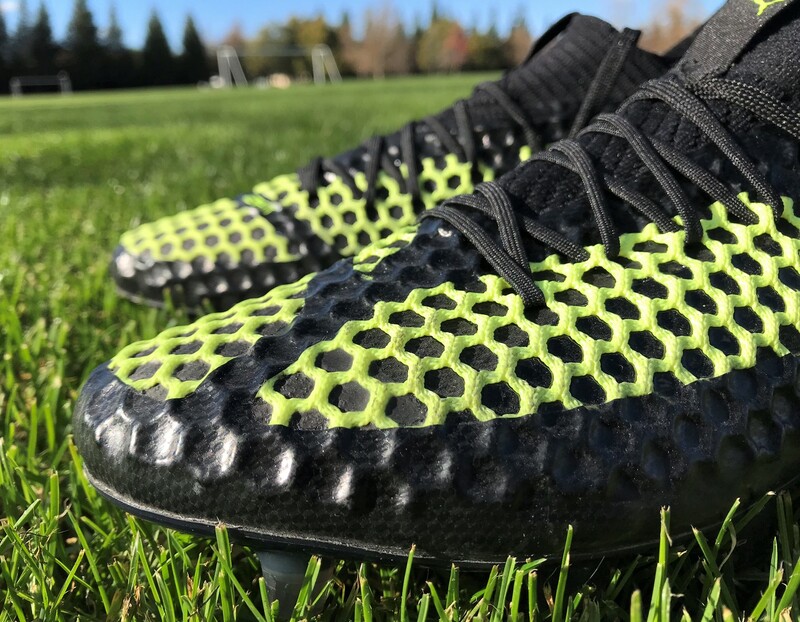 The version pictured here is the boot released in 2017 as a “sneak peak” to introduce fans to the technology. It proved to be a big winner and piqued interest. Currently, there is a Fizzy Yellow version released as the first mainstream market edition. Retail wise, you can get them for $219.99. Find everything Puma FUTURE 18.1 available at soccer.com. Highlight: The first boot with a truly customizable, locked down fit thanks to the inclusion of NETFIT technology. It allows the wearer to lace their boots any way they want. Category: Agility with a touch of Power. 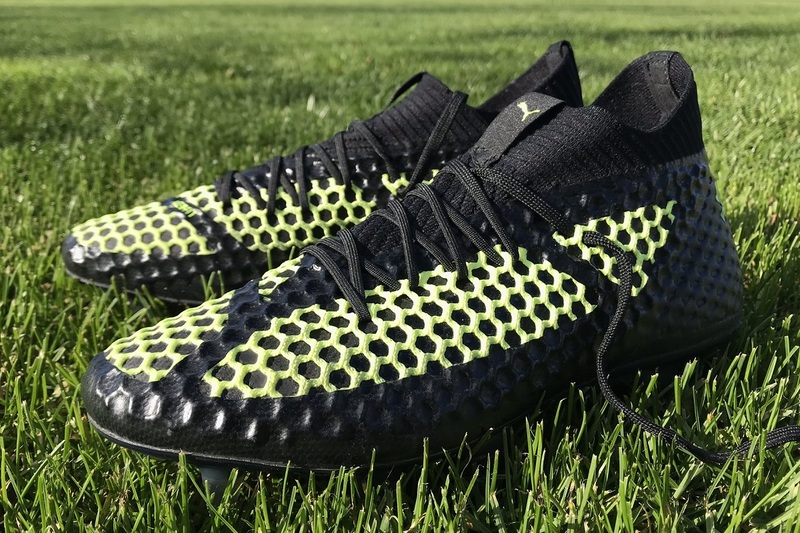 Would I Buy Them: Yes, I’m a big fan and rate these as a true game changer for Puma. Player Position: This one is so open-ended, the key here is providing players with comfort and the ability to lace up the fit exactly how you want. Have you been able to try out the lowcut model by any chance? It would great to see the differences and your preference! Thank you for the reviews!